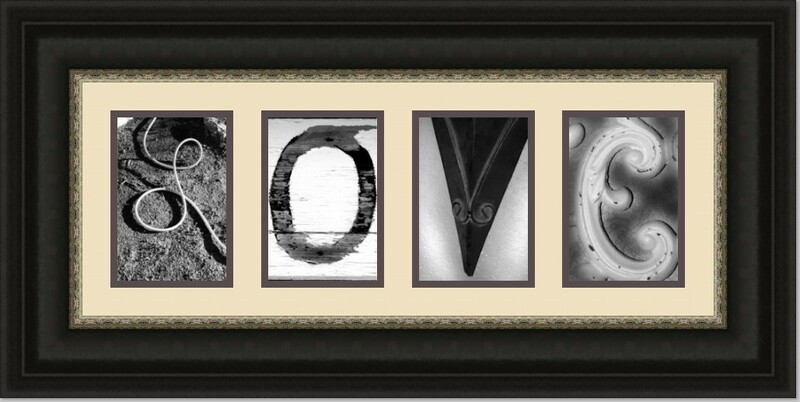 Turn your words into decorative alphabet art. With multiple styles to choose from for each letter, you can customise your own masterpiece. Printed on semi gloss photo paper, they can be purchased unframed or use our online framer tool to order the finished product ready to hang on the wall. Please note that if you choose to purchase these unframed, they will be supplied as an individual photo print for each letter.